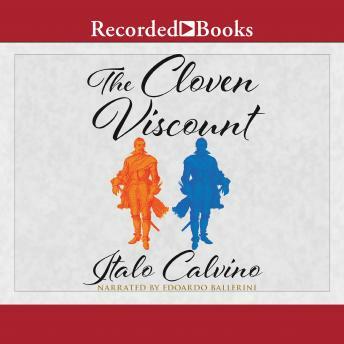 In this fantastically macabre tale, the separate halves of a nobleman split in two by a cannonball go on to pursue their own independent adventures In a battle against the Turks, Viscount Medardo of Terralba is bissected lengthwise by a cannonball. One half of him returns to his feudal estate and takes up a lavishly evil life. Soon the other, virtuous half appears. The two halves become rivals for the love of the same woman, fight a bloody duel, and achieve a miraculous resolution. Now available in an independent volume for the first time, this deliciously bizarre novella is Calvino at his most devious and winning.